A great way to add an extra something to any juggling routine and a much safer alternative to fire juggling! 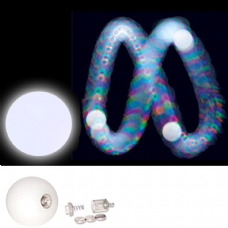 We've got a great range of various LED juggling balls, clubs and rings through to diabolos and yo-yos! 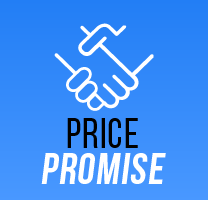 We stock everthing from great value ways to get into LED juggling through to expensive performance orientated props. 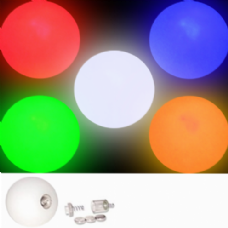 The G-Light system allows for the LED unit to be transferred between various props; this means you don't have to shell out more than once for the expensive part of LED juggling equipment. At the other end of the spectrum we stock Kosmos clubs which offer an incredible level of customisation to their LED colours and patterns as well as other innovative features.